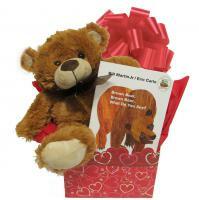 Gift Basket Ideas for Sick Children. 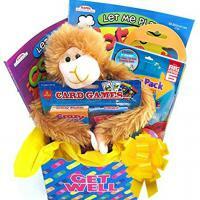 Send a special child a get well soon gift basket by mail to a child's home to make them feel better. 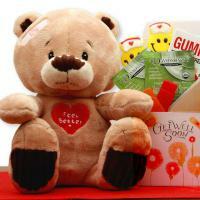 Let children know that you are thinking of them and that you care when they are sick by sending a get well present to them. 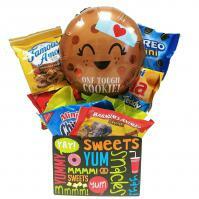 Adorable Gift Baskets offers fun get well gift ideas and get well gift baskets for children online. This is an article outlining 5 of the most important health tips for children. For example, a moderate dose of sunshine fulfills a child's need for vitamin D, which is essential for calcium absorption. As parents, you know that having a healthy, well-nurtured child who is progressing mentally, emotionally and physically is going to be a happy child. Here are five things you can do to keep your child healthy, as well as have a better chance of fighting off health problems and diseases when they come around. Teach your child the importance of staying clean and to nurture good health habits. If a child knows how to wash their hands properly and frequently, for example, she is much less likely to get the flu or disease that is going around. She will be able to stop the spread of germs before they get into her system. Another example of a good habit to teach your child is to sneeze or cough into her sleeve. Even though it's been said a thousand times, it' s still true. Eating healthy and stocking up on fresh fruits and vegetables helps fight disease and sickness. Whatís more, eating foods that are high in sugars and processed materials is damaging to a childís immune system, which in turn makes them much more susceptible to disease and sickness. The benefits of exercise for children are numerous. Children need to get their blood flowing daily for their heart and lungs to stay healthy and physically fit. Their bones and muscles also need strengthening to grow. What better way to do this than by running and playing outside? Exercise also promotes good sleep habits, maintaining a healthy weight, and strengthens the immune system. Frequent exercise makes your child less prone to sicknesses and diseases, including cancer and type 2 diabetes. A child needs between 8-10 hours of sleep nightly. Making sure your child has enough sleep prevents the weakening of her immune system, as well as crankiness, irritability, and loss of focus. A child who has enough sleep concentrates better and is healthier and happier. Sunshine is excellent for your child's health. Sunshine kills viruses and bacteria, increases blood circulation, and lowers blood pressure. A moderate daily dose of sunshine fulfills your childís need for vitamin D which is essential for calcium absorption. Vitamin D has many other health benefits. For instance, studies suggest it improves overall skin health and prevents certain types of cancer. There is a lot you can do for your child to help her stay healthy and happy. You will also contribute to teaching her habits that will stay with her for life, and she will surely thank you for that one day. 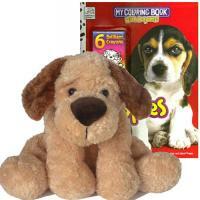 Send kids get well gift boxes, care packages and baskets filled with fun toys, snacks, candy, books, games, puzzles and tasty treats and goodies guaranteed to delight any child.